Convert WAV to MP4 with comfort. 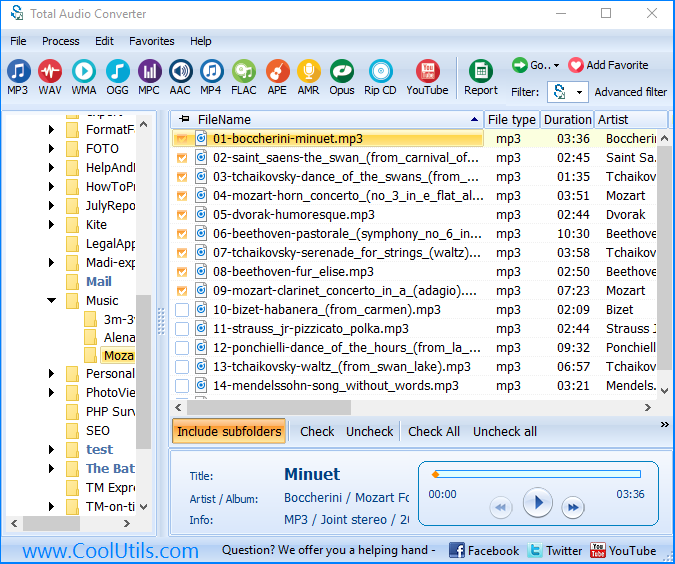 You are here: CoolUtils > Total Audio Converter > Convert WAV to MP4 with comfort. Do you want to convert WAV files to the MP4 format? Then you've come to the right place! The Total Audio Converter app lets you switch WAV to MP4 and a variety of other useful audio formats. You don't need to be a Web designer, video editor, or sound engineer to benefit from having WAVs converted to MP4. Our user-friendly audio conversion app is designed to give you complete control over your audio files quickly and intuitively. First, open the Total Audio Converter app. From the list of available files, folders and drives, click the box next to each WAV file you plan to convert. Next, click the MP4 icon located in the format toolbar. This will take you to the Convert to MP4 option window. 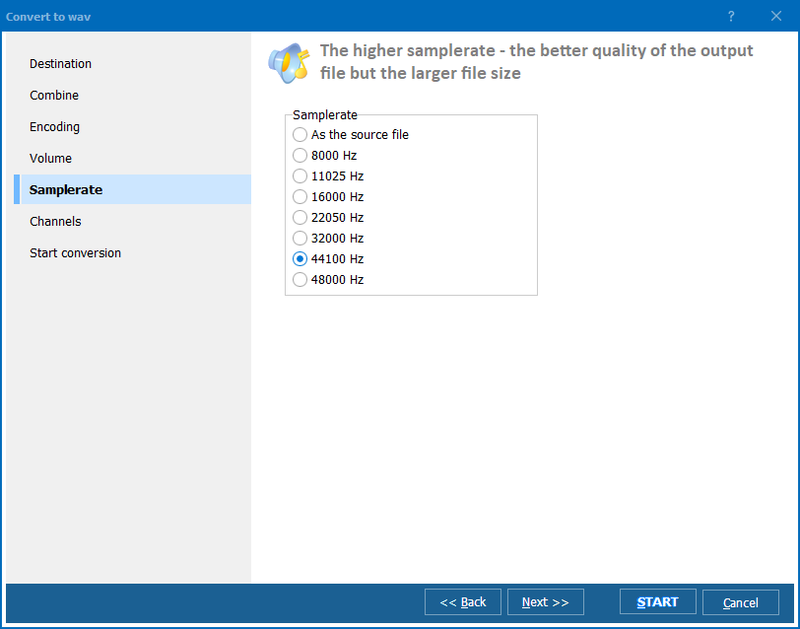 Here you can opt to combine multiple WAV files into a single album, and control bitrate (VBR) quality. When you're ready, click the Start conversion tab followed by the Start button. 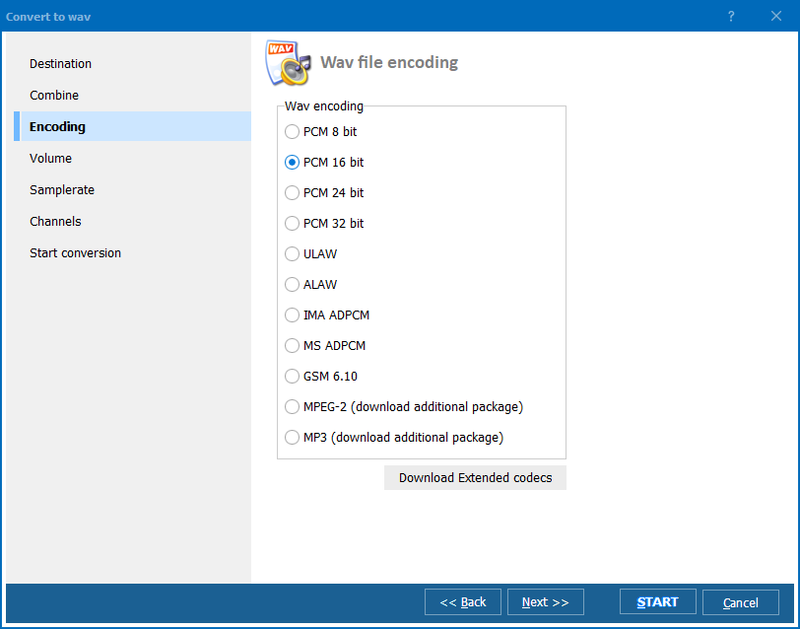 Changing your audio files from the WAV format into MP4s has never been easier! Rip your projects to CD. Convert lots of files at once in batch. Work with both constant and variable bitrates. Separate and extract YouTube audio. Create reports with custom details about your audio collection. Listen to files using the built-in audio player. Handles a range of audio formats: MP3, WMA, OGG, AAC, FLAC and more! Convert 3GA to WAV. Save time, itâ€™s easy. Convert WAV to FLAC in three steps. Convert MOD to WAV without any problems. Convert APL to WAV. Save time, it's easy. 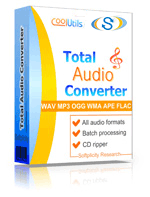 Convert WAV to APE without any problems.